To remove the mounts that hold the sun visors do I just need to drill out the rivets? I just unscrewed the pin and left the rest. It's too small to bother me and it makes it easy to reinstall if need be. What he said ...... it takes a while but you can unscrew them out and leave the black supports in place. Since you are modding you might want to get a smaller rear view mirror as well. Sector 111 has a pretty nice replacement unit that you can use. it makes a huge difference in opening up your view out of the car. Another thought on this... I started to remove mine, but instead cut some black heat shrink tubing of the appropriate length, slipped it over the silver rods and shrunk it to hold it in place. 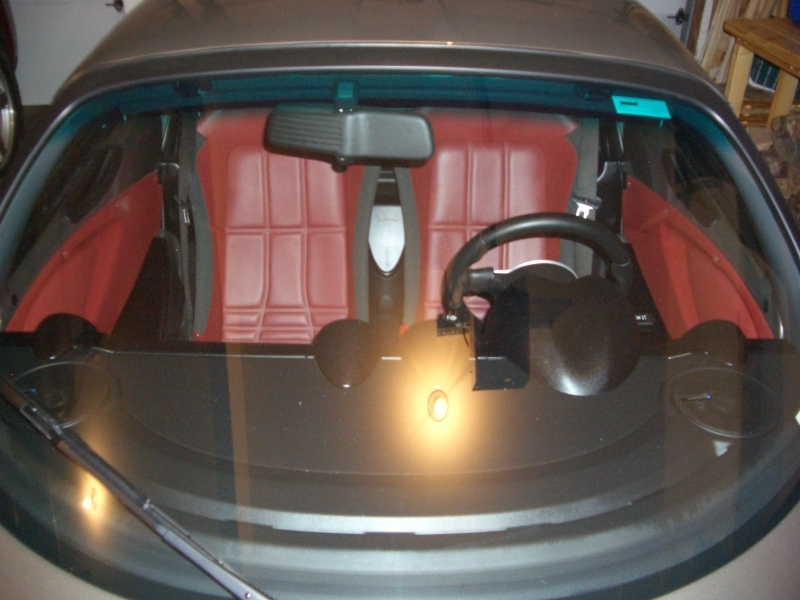 It blends in nicely so that you no longer see the silver rods through the top of the windshield and is super easy to remove the heat shrink if needed (just run a razor blade down the heat shrink and pull it off). I know, I know... think of all the weight I would be saving if I removed them! Last edited by Baysailor; 02-15-2006 at 11:30 AM. I tried removing the pins several ways and just ended up twisting the mounts. I'd like to get them out but don't want to do anymore damage. Any ideas? They should simply unscrew. I don't see how the mounts could get twisted unless the pins weren't rotated about their axis. I think I used needle small channel locks and turned them a little each time. Did the same thing since the black support is tiny. I have the mircomirror on order from Sector111. Just removing the visors has made an incredible difference, can't wait to ditch the mirror. Last edited by AttAkker; 02-15-2006 at 04:07 PM. I had the same problem. The brackets just want to bend and I'm afraid it's going to tear up something where the bracket mates the windshield frame. I like the shrinkwrap idea. 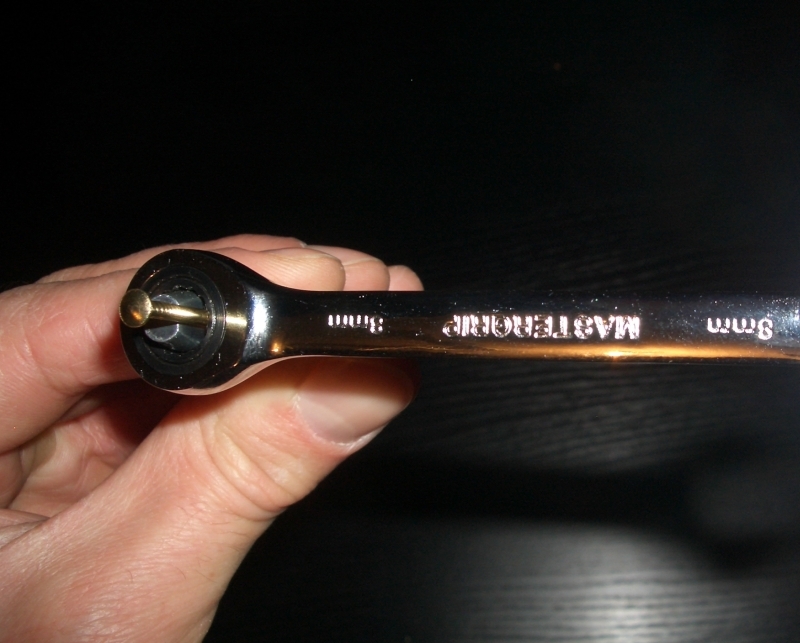 I used a small ratchet wrench with a deep 8mm socket. the 8mm is the tightest fitting but it will still spin on the visor stud. Use a "brad" nail; a small 1 inch finishing nail to put inside/between the socket and visor stud. This keeps the socket from spinning on the stud. The stud will turn, but it will take a little time since you can only crank the wrench a little ways before hitting the glass or header. Put a piece of tape (blue masking tape or whatever) on the windshield header surface to keep the ratchet wrench from making any impressions on the header. It's really easy once you give it a go and it looks so much nicer without that useless stud sticking out of the mount; plus you get the weight savings! Wow that's a great tip, wish I'd known about this method before I tackled the project ! I totally mangled one of the steel studs (the first one was easy, the second one not so much), and it took for-freakin'-ever ! Last edited by mikester; 02-15-2006 at 04:03 PM. Wow that's a great tip, wish I'd known about this method before I tackled the project ! Me too. It took me over an hour to take those suckers out using a small open ended wrench on the stud. I already have the micromirror and love it. I will try the 8mm ratchet. I also did black heat shrink tubing. You can hardly see it through the windshield and it leaves the rods that help keep my sun shield in place. It took me about 5 minutes for each side. That's with me being very careful and methodical so I didn't scratch anything. For the life of me I couldn't find a socket size to fit those studs. I gave up for months until last month. I was nailing a couple of loose floorboards down and it hit me like a hammer (not literally of course even though I had a hammer in my hand). I can take one of these little nails and put it into a socket to wedge the thing in place so the socket wouldn't spin anymore! Woohoo! 15 minutes later I had both studs out. The 8mm socket with nails worked on the right side. The left bent since there was no support at the bottom. Now, what is the best way to bend it back? A rubber hammer? If I can not bend it back I will have to remove it. I thought it was just riveted on but it goes back into the header. I think wedging something between it and the windshield in necessary to remove the drivers side unless it is reverse thread. ouch. don't know how it could have bent it on the left side. it sounds like you didn't keep the ratchet aligned straight, but instead pulled on the ratchet. That's why I advised to use tape on the windshield header - because the wrench stays in contact with the header while it stays aligned with the visor stud. Every turn of the wrench causes some slight friction on the header. You pulled down??? well, that's neither here nor there now that it's bent. I wouldn't wedge or lever against anything, or hammer anything for that matter. I won't give any more advice since it was my advice that seemed to get you into this predicament! Last edited by raggedy1; 02-16-2006 at 07:09 AM. I finally got that ****er off. I turned it as if to tighten it to bend it as close as I could to how it was. There was some white locktite or something on them that made them very tight. It came out all over as they came out. I can not recommend how I got it out. I wedged a wrench between the mount and windshield to keep it from bending back and carefully unscrewed it trying not to put too much pressure on the windshield. The pin has two flat sides, which makes it tough to turn since there is not much room. The flat sides on the pin are 5mm. 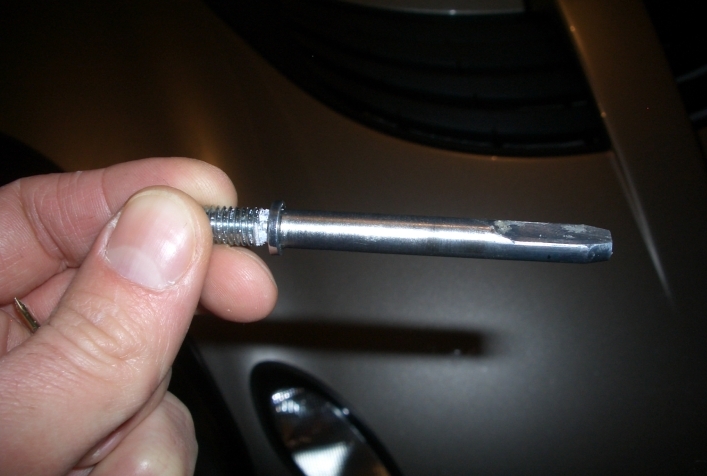 But I didn't have a 5mm open wrench handy, plus it might be difficult to actually turn the pin since there is not much room between the pin and the windshield. I used a 8mm wrench (as pointed out in an earlier reply) and stuck a nail thru the opening to prevent the wrench from slipping. The nail I used was from a picture hanger and worked perfect. Try different diameter nails until you find one that keeps the wrench from slipping. Here is a picture after the removal. It took me roughly five minutes for both sides. Am I the only Elise driver who USES the visor? Can't be. I guess if you are taller (I'm 5'9) they might get in the way, but for me, there are times it really helps block that last bit of sun from my eyes.